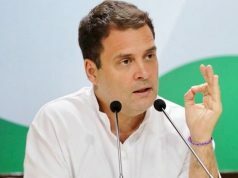 Dubai: Mati Handi Mansha, Poi Chingudi Sukhua, Pakhala, Dahi Baraa Aloo Dam, Mahuradi Besara, Abhada Thali, Saptapheni, Kakara Pitha, Manda Pitha, Mudhi Mansha…the list is endless. We are not talking about a restaurant or household in Odisha but are talking about Handishala – The World’s Biggest International Odia Food Festival (outside India) that was organised in Dubai, United Arab Emirates on 16th of March, Friday. 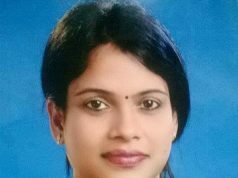 ‘Handishala’s fifth version was organised by the Odisha Samaj of UAE (OSUAE), MENA (Middle East North Africa) Region’s largest Non Resident Odia Organisation. Handishala over the years has become a must visit event for all Odia Food lovers in the region. Not only from the UAE but connoisseurs of Odia foods from nearby countries also made a beeline for this flagship culinary event of the OSUAE. Handishala has acquired a cult status among foodies in the region and it did not disappoint the 500 plus people that thronged the venue. 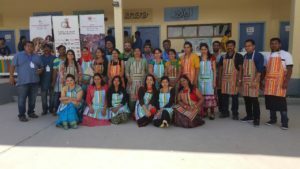 Emirates English Speaking School in the Safa Park area of Dubai was transformed into a Mini-Odisha on the 16th of March. The sweet smell of Odia cuisines wafted through the air and attracted all and sundry to the various stalls. It was indeed a remarkable sight to see traditional Odia delicacies like Pakhala, Dahi Bara Aloo Dum etc. being served against the backdrop of iconic Dubai landmarks like the tallest building in the world – Burj Khalifa, which was visible from the venue. 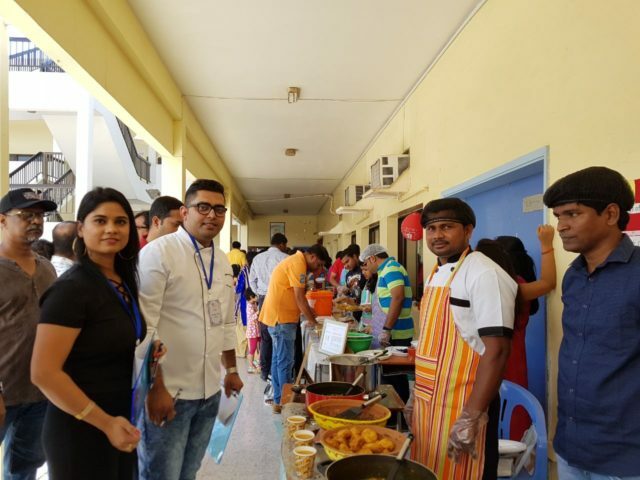 Over 100 Odia dishes were exhibited by Odia Chefs drawn from Odia families residing in the UAE. Around 40 counters selling mouth-watering Odia foods mesmerized the food lovers that attended the event. 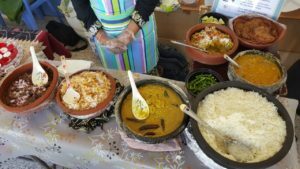 Many non-Odia people were awe struck when they saw the vast repertoire of Odia foods on display. One of the excited visitors commented ‘This is simply wonderful. I never knew the Odia cuisine was so flavourful and delectable’. Prominent UAE food bloggers also blogged about this event and tremendous word of mouth publicity attracted a record crowd this time. According to a OSUAE spokesperson, it has always been the endeavour of Odisha Samaj UAE to promote the best things the Odisha has to offer. Be it its unique dance forms like Odissi, its folk culture & music like Sambalpuri culture & music, its rich handlooms, its handicrafts and not to forget, it’s rich culinary heritage. He also said that this edition of the festival was the World Biggest ever Odia Food Festival (outside India). According to him, the future versions of this festival will be even grander. He expressed his happiness at the large number of non-Odias and foreigners attending the event, which went a long way in promoting Odia food across the globe.